FDC PUTS DOWNTOWN TALLAHASSEE WORKERS ON ALERT! The Florida Department of Corrections put its downtown Tallahassee employees on high alert over possible protests next week outside its offices. The office of FDC Secretary Julie Jones sent an email to employees on Thursday warning about the potential for protests on Tuesday outside the Carlton and Holland buildings on South Calhoun Street. The email, which was obtained by the Tallahassee Democrat, says protests are permitted on the grounds of the building. But the department said it was taking a number of steps “in an abundance of caution,” including locking all doors to the Carlton building from 10:30 a.m. to 4 p.m. Tuesday. All employees will be directed to the Gadsden Street entrance, the only place where badge readers will work that day. “Staff will be permitted to leave at any time, but are strongly encouraged to stay indoors during the work day Tuesday,” the email says. “Staff are encouraged to limit smoke, exercise and general breaks outside the building. If possible, plan to spend your lunch hour within the building. Please note that food trucks will not be available and outside deliveries are discouraged.” FDC brass advised staff in the email to limit outside visitors, meetings or unnecessary guests. The possible demonstration coincides with an announced protest by inmates called Operation Push. 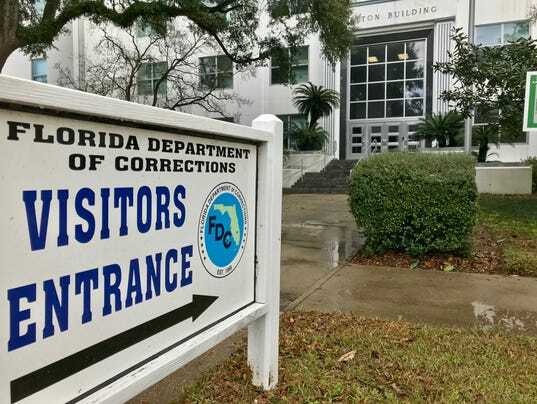 Inmates are calling for all Florida prisoners to stop working starting Monday over issues including payment for their labor and canteen prices. The protest could last as long as a month, the Miami Herald reported. EDITOR COMMENT: Taking issue with Michele Glady on affordable canteen items? Everything in the Visitation canteen is grossly overpriced, some items 3 to 4 times the cost if purchased from a fast food restaurant. In addition, the food is processed and disgustingly high in cholesterol, sodium and saturated fat. Time to introduce healthy choices for offenders and their guests! Next WHO LET THE DOGS OUT??? HOW TO AVOID GETTING BIT!